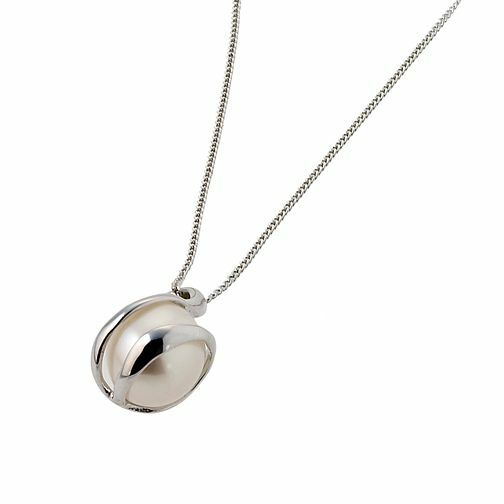 An elegant pendant featuring a cultured freshwater pearl wrapped in 9ct white gold. An ideal gift for any occasion, this chic accessory will complement any look. Pearl size 7x6mm. 9ct White Gold Cultured Freshwater Pearl Wrap Pendant is rated 4.4 out of 5 by 10. Rated 5 out of 5 by Anonymous from Good quality and attractive product Very pleased with this (and so was my wife!). White gold at a very affordable price.